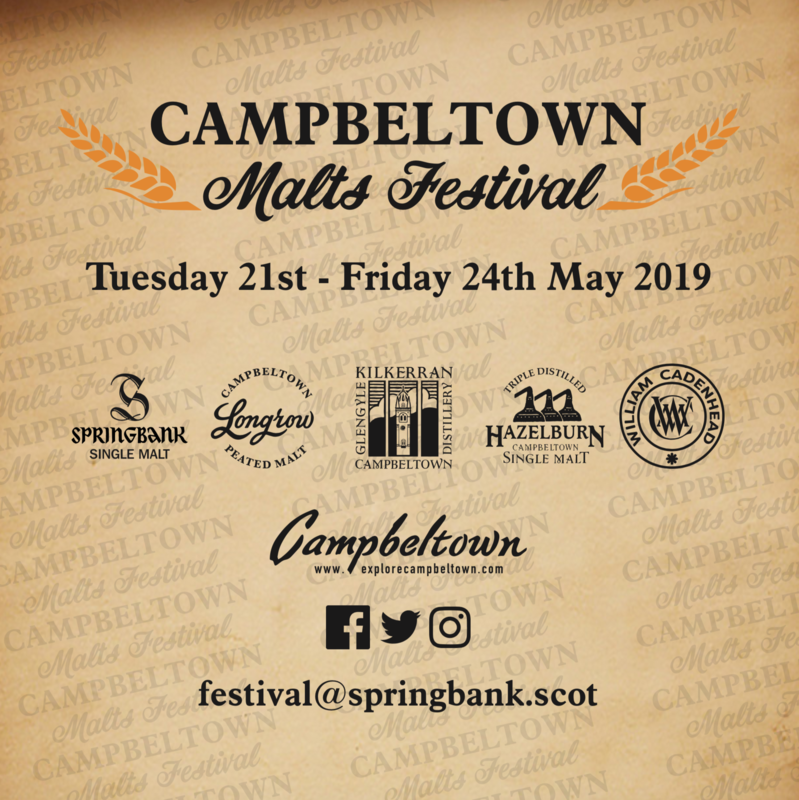 The Campbeltown Malts Festival 2019 is taking place between Tuesday 21st and Friday 24th May 2019 and we hope to see many of you there! All our tickets for the events taking place on Thursday 23rd and Friday 24th May will go on sale next week, Wednesday 13th February, at 2pm (UK time). A reminder of this, along with a link to the tickets, will be sent out next week.